World Kitchen/Pyrex have submitted a response to this story. You may read their full and unedited response here. It has been nearly three years since ConsumerAffairs.com first reported that consumers were being cut and burned by exploding Pyrex bakeware. The company was quick to deny the problem and government safety regulators seemed untroubled by the reports. Three years later, not much has changed. Many consumers still rely on Pyrex bakeware for everyday cooking chores, trusting that the baking dishes can safely go from the oven to the countertop to the freezer. But more than 300 complaints filed by ConsumerAffairs.com readers detail frightening stories of these dishes spontaneously shattering during temperature changes, propelling scalding glass shards and food 15 feet or more, sending some consumers to the hospital with tendon and nerve damage and serious burns and leaving others with property damage and, at the very least, a ruined dinner and a huge mess in their kitchen. The manufacturer blames consumers for not reading the fine print on the product label, yet the product packaging claims that it is freezer safe ... microwave safe ... dishwasher safe ... oven safe. But not everyone buys that. "The instructions on minimizing risk are not very clear," said Dr. Steve Freiman, an expert of brittle materials, formerly with the National Institute of Science and Technology. "Even if they were, I'm not sure how many people read the instructions on these things or would remember them after a few years." Freiman and other glass experts consulted for this story say the glass used in today's Pyrex products may not be tempered properly, making it more likely to explode than products sold under the Pyrex label in the United Kingdom and some other European countries. The manufacturer denies that and says it has an "exemplary" safety record. Meanwhile, the U.S. Consumer Product Safety Commission (CPSC) — the government agency responsible for protecting consumers from unsafe products — has remained mostly mum despite Congressional inquiries, media scrutiny and an ever-growing chorus of complaints. ConsumerAffairs.com was the first to report on the dangers of exploding Pyrex dishes in a December 2005 story that reported six peculiar and frightening stories of consumers whose Pyrex baking dishes spontaneously exploded. Since then, the number of complaints has skyrocketed to 350 with new ones coming in every week. When I pulled the dish out and went to put it on the stove so I could serve it, the dish exploded in my hand, wrote Tony of Chicago. The sauce poured down my leg which caused me to fall and burned my leg and glass cut my calf. There were shards of glass embedded in my wall and cabinets. I was baking chicken with broth at 350 degrees in a Pyrex pan, wrote Samantha of Norwich, Conn. I took it out of the oven to see if it was done and was returning it to the oven when it exploded in my hands. One of the falling pieces landed on my bare foot, crushing the joint of my big toe and breaking it along the phalange of the same toe. Estimated six-week recovery period, Samantha continued. Doctor says definite development of arthritis in the joint in the future. Tale of two pans. Photos supplied by readers. 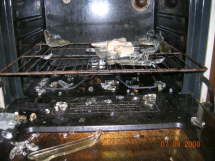 In many of the complaints, the dish explodes while baking, causing internal damage to the oven, or scatters scalding pieces of glass that damage furniture, carpet and other property. When Julia of Lyme, Conn. removed her Pyrex dish from the oven, it shot hundreds of dagger-shaped pieces all over her kitchen and even bounced off the back of a chair her two-year-old was sitting in 10 feet away, she said in a phone interview. Her husband rushed to collect the scorching pieces, which cut and burned his hand, but he was too late and their landlord's linoleum floor is now polka dotted with quarter-sized melt holes. In every known case, World Kitchen, the manufacturer of Pyrex bakeware, has told these consumers that it is not responsible for the damage. While the severity of injury and property damage varies, many complainants soon discover that their experience is not unique. Injury to a baker's knee. The more people I had to explain my inability to work, walk, or play to, the more similar stories I heard. Even the nurse at the hospital said she broke a bone and cut herself terribly when the same thing happened to her, Samantha wrote. I was astonished that so many people have had this happen to them and I have never heard anything about it. 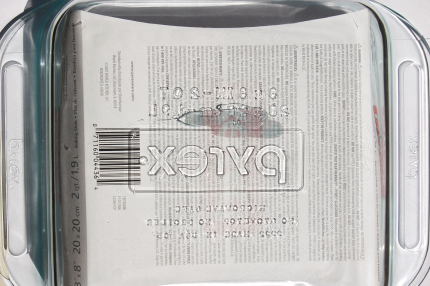 A spokesman from World Kitchen wrote in an e-mail that the reports of explosions comprise an extremely small percentage of the 370 million Pyrex dishes on the market, and are often the result of the consumer failing to read the instructions or of a consumer mistaking a competitor's product for a Pyrex dish. On the front of a new Pyrex dish ConsumerAffairs.com purchased, the product's label clearly states that it is freezer safe ... microwave safe ... dishwasher safe ... oven safe. Avoid severe hot and cold temperature changes. ... Use minimum amount of cooking time. ... No stovetop, broiler, toaster oven, microwave, browner or any other direct heat source. ... Do not add liquid to hot dish or place hot dish or glass cover in sink, immerse in water or place on cold or wet surfaces. We cannot speculate on how someone was using their bakeware, and whether or not they were using it correctly, wrote Bryan Glancy, World Kitchen spokesman. Without examining the product, there is no confirmation that the product involved was Pyrex bakeware (as opposed to another manufacturers product). For this reason, unsubstantiated and unconfirmed reports of breakage should not be used as the basis for any conclusions to be drawn about Pyrex products. Consumers we spoke to said there was no doubt their product was a Pyrex dish. They had all bought the dish within the past few years — since Corning, the original manufacturer of Pyrex, licensed the name to World Kitchen in 1998. 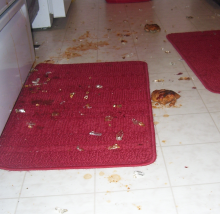 Glass, chicken parts litter a consumer's kitchen. The four glass experts ConsumerAffairs.com consulted for this story agreed that the most likely reason the dishes are exploding is that they are not made from the type of glass, known as borosilicate, that they said was originally used in Pyrex dishes. "The composition of Pyrex was changed," Freiman said. "What we don't know is whether it was changed prior to Corning selling this to World Kitchen or not. ... When the composition was changed they made it, what I would suspect, is a less expensive raw materials to put into it, a less expensive process." World Kitchen denies that the products were ever made of borosilicate. Pyrex dishes are made of tempered soda lime glass, which is the same glass used in car windows and many other consumer goods. Tempered soda lime is not designed to withstand extreme temperature changes the way borosilicate is, said Dr. Delbert Day, a professor of materials science and engineering at the Graduate Center for Materials Research at the Missouri University of Science and Technology. (Borosilicate) has a lower thermal expansion coefficient than soda lime, Day said. It is less likely to break during thermal shock. There's also a much larger body of experience in using tempered borosilicate glass for cooking purposes than tempered soda lime. Soda lime glass is less expensive to produce than a borosilicate glass and it starts with the raw materials, said Day, who also owns a company that manufactures glass medical products. The raw materials in a borosilicate glass, particularly the boron component, are more expensive than the components in a soda lime. Also, it can take a higher temperature to melt the composition so there's expense there. While World Kitchen continues to manufacture its 100 percent soda lime Pyrex line in the United States, Arc International in the European Union also manufactures dishes under the Pyrex name, but uses a borosilicate composition, Arc spokeswoman Nicky Fairweather wrote in an e-mail. I havent heard of any complaints about exploding Pyrex coming through the UK press office, Fairweather wrote. Arc International's Pyrex dishes cost about double what World Kitchen's do in the U.S., but ConsumerAffairs.com has only one exploding Pyrex complaint from any country in the E.U. ConsumerAffairs.com has complaints from every major English-speaking country where World Kitchen products are sold, including Canada, New Zealand and Australia. Glancy, from World Kitchen, wrote that tempered soda lime is more resistant to mechanical breakage. But Hank Chamberlain, president of Allied Glass Experts, a glass consulting company and testing facility, said tempered soda lime is not necessarily more resistant to mechanical breakage. That toughness only exists in unchipped and unscratched tempered glass. In a kitchen environment, it should not be relied upon, Chamberlain said. Impact resistance is not the valid issue, Chamberlain said. We're not having trouble with people dropping these things on the tile floor and cutting their toes. We're having trouble with people taking them out of the oven and having them blow up and put scalding food on them. People understand that if you drop a piece of glass, it's likely to break, he continued. They don't understand that it's likely to blow up when you take it out of the oven. Tempered glass has been cooled in a way that makes it shatter into small, relatively harmless cubes, rather than large, dangerous shards — and that's one of the major arguments Glancy made, writing that when Borosilicate glass breaks, it yields large shards. But consumers say that their Pyrex dishes are breaking into large shards and their photos back up those claims. Three experts ConsumerAffairs.com consulted said they believe the glass may not be adequately tempered. Dr. Richard Bradt, professor of engineering at the Department of Metallurgical and Materials Engineering at the University of Alabama, said Pyrex bakeware products he examined were not tempered at all. When they broke, they broke like untempered, or un-heat-strengthened glass, Bradt said. Large shards. There were no fringes, indicating no tempering, he said. It's cutting out 50 percent of their manufacturing (cost). I don't want to say they don't temper any of it. (But) the ones I've seen — three different sizes — were not tempered. ConsumerAffairs.com shipped a package of eight dishes to Hank Chamberlain of Allied Glass. He said that the dishes were tempered, but not evenly. There's quite a bit of inconsistency within the pieces, he said. But based on the research Bradt shared with him and based on photos he has seen, Chamberlain said there's no way all the glass can be tempered. It's absolutely certain that they have less core tension, and therefore less residual surface compression, than fully tempered glass, Chamberlain said. This stuff produces some wicked looking big shards. It's not what was advertised. There are definitions of tempered glass and these fragments do not meet those definitions, Chamberlain continued. Both Chamberlain and Day said that even if the glass is tempered when purchased off of store shelves, it's likely the glass would lose its temper when used in the oven. If you heat a tempered glass too high in temperature, it can lose its temper, Day said. After consulting with another glass expert, Chamberlain said they both concluded that they seriously doubted tempered soda lime could maintain a thorough temper after numerous heating and cooling cycles. If the glass loses its temper in some areas, the stresses from uneven temperatures could result in the violent explosions so many consumers have witnessed. All the experts we consulted said they had not heard of this problem until just recently and doubted that the Pyrex manufactured by Corning — before the 1998 licensing of its name to World Kitchen — would be dangerous. I feel quite confident that when Corning sold tempered soda lime silicate glass that it was as good if not better than (borosilicate) Pyrex in thermal stress; in the kitchen environment, Freiman said. But I don't think that we're getting real tempered soda lime silicate glass today. ... Corning has always done everything absolutely first class. ... I think that no one connected with Corning is involved with this manufacturing. Representatives from Corning, which still owns the name Pyrex, did not return repeated phone calls and e-mails requesting comment. World Kitchen, however, said in an email that its products are tempered. "To increase Pyrex glass bakeware's resistance to breakage, the product is heat strengthened, or tempered, to achieve the appropriate balance between increased mechanical strength (i.e. reduces the impact-induced breakage incidents) and energy expended upon breakage (i.e. dynamism of breakage and number of pieces)," said a statement provided by a company attorney. And what about the Consumer Product Safety Commission (CPSC), which will enjoy much more sweeping authority under new legislation just passed by Congress? The agency has stayed mostly mum on the topic and could not even stir itself to provide data ConsumerAffairs.com requested in a Freedom of Information Act request filed January 15, 2008. It is not unusual for the agency, which has claimed its poor performance is due to budgetary and personnel shortfalls, to stonewall public and press inquiries, even though the data it withholds is public property and was collected with taxpayer funds. In its past investigations into tempered glass products, the agency has held that even though the product may be defective, it cannot be recalled because it isn't producing dangerous shards. Consumers Union, the not-for-profit publisher of Consumer Reports has also filed a Freedom of Information request that the agency has failed to fulfill, said Don Mays, senior director of product safety and technical public policy at the consumer advocacy group. The magazine is in the process of performing its own tests on Pyrex bakeware. The CPSC investigated some of the complaints two years ago, but despite its inability to produce any documentation, spokeswoman Julie Vallese said recent Congressional prodding has spurred the agency back into action. She would not share any details, however, and did not offer any advice for worried taxpayers who may have Pyrex products in their kitchens. But while the CPSC plays its usual game of hide-and-seek, some members of Congress are becoming concerned. Because Pyrex can be found in 80 percent of homes, defects in this product could compromise the safety of a significant number of consumers, Sen. Richard Durbin (D-Ill.) wrote in a letter to Nancy Nord, the acting chairwoman of the CPSC. Therefore, I ask that you take appropriate steps to review whether there are hazards or warning label issues that are consistent with the consumer complaints in the investigative reports and whether product or label modifications are necessary to protect consumers. In addition, I request that you investigate whether similar incidents have occurred in Europe, which sells the original version of this product made of borosilicate glass, Durbin continued. Consumers believe that Pyrex bakeware is virtually indestructible and can go from the stovetop to the refrigerator without a problem, but this is clearly not the case, she said. It should be noted that the brand name 'Pyrex' is often used generically to describe glass bakeware, Jack Horner wrote. The agency received 681 complaints regarding all glass bakeware from 1998-2007; 268 of those incidents resulted in an emergency room visit. Those 268 injury reports were gleaned from the National Electronic Injury Surveillance System database which queries a sample of about 100 of the 5,000 emergency rooms in the U.S.
For its part, World Kitchen objects to nearly everything in this and previous stories and lost no time seeking to stop publication of this story, which has been in development for months. On July 3, attorney Kerrie Campbell sent a "cease and desist demand" to ConsumerAffairs.com, complaining about "false and defamatory statements published by Mr. Enoch and ConsumerAffairs.com that have been communicated to third parties, including the false and misleading message that Pyrex is unsafe for use by consumers." "We understand that in addition to false and damaging statements made to ARC International, ConsumerAffairs.com is planning to publish what appears to be a disparaging story based on false and inaccurate information about Pyrex and World Kitchen," wrote Campbell, who is based in the Washington, D.C. office of Manatt Phelps Phillips. "Pyrex glass bakeware has an exemplary safety record and consumers should not be misled, falsely alarmed and told otherwise." "We request your immediate attention to this urgent matter and demand that Mr. Enoch, ConsumerAffairs.com and anyone acting on its behalf, immediately cease and desist making any further false and defamatory statements about World Kitchen and Pyrex products," she added. Campbell dismissed the experts' speculation that World Kitchen is using a different process than Corning. "Pyrex has been made consistently of tempered soda lime glass at World Kitchen's Charleroi plant for about 60 years, first by its predecessor Corning and then by World Kitchen, using rigorous quality control and manufacturing standards," she wrote. "That is why Pyrex's safety record continues to be exemplary, as documented by publicly available Consumer Product Safety Commission (CPSC) records and the authoritative National Electronic Injury Surveillance System (NEISS) database," Campbell wrote. The NEISS database, however, records only injuries that result in hospitalization or treatment in an emergency room. Most of the incidents involving Pyrex and other glass bakeware reported by consumers to ConsumerAffairs.com cause only property damage and minor injuries and are thus not recorded in the NEISS database. 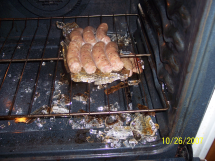 "The NEISS data show that there is an extremely small number of reported injuries associated with glass bakeware (of any kind by any manufacturer). Publicly available NEISS data for all injuries caused by non-metal, non-electric cookware the category in which Pyrex glass bakeware (as well as ceramic bakeware, plastic or silicone products, porcelain, glass for stovetop, etc.) would fall are extremely rare (about 30 reports a year)," Campbell said. "Moreover, based on the past five years of available NEISS data, there are between zero to three (0-3) unsubstantiated reports per year of unspecified glass bakeware 'shattering' or 'exploding.' The NEISS data also show that consumers are more likely to be injured by dropping a pan than from an 'exploding' dish," Campbell added. It's not just Pyrex that is exploding. Anchor Hocking, which makes similar dishes that can be found at Wal-Mart and other stores, has generated 48 complaints in the ConsumerAffairs.com database. In the most dramatic case, a woman who asked to remain anonymous, lost much of her eyesight for months after an Anchor Hocking dish exploded while she was standing over it. Little bits of glass were embedded all over her face, eyes and in the ceiling above her head. Marianne Jackson, a representative of Anchor Hocking, which also uses tempered soda lime, said that the failure rate for the company's dishes is "one one-hundredth of a percentile" and said she's never heard of anyone being seriously injured by the dishes. She said tempered soda lime is safer than borosilicate because it does not break into large dangerous shards. Like Glancy of Pyrex, Jackson blamed consumers for being injured by her company's products. Ninety nine percent of the time, consumers don't read their care and use, she said. Chamberlain is using the lab at Allied Glass Experts to perform more tests on the dishes and ConsumerAffairs.com will have the results of that test along with those of Consumers Union when they become available. The glass experts concluded that the only Pyrex dish any of them would use would be one purchased before 1998. Otherwise, theyre cooking with metal. This story may not be reproduced, copied or republished without written permission.